Have you ever wondered what it would feel like to flip a massive truck tyre or deadlift a car in a Strongman competition? That's why, a few weeks before WrestleMania 34 on Apr. 8, Men's Health tabbed the six-foot, 385lb “Monster Among Men” to recommend five exercises that simulate a Strongman workout regimen, so us average Joes can at least feel like we’re pulling off freakish feats of strength, too. Don't have a training log handy? Strowman has just the exercise to simulate the Strongman log clean and overhead press, which he calls his “worst event.” Opt for a seated military press on a flat bench, without any back support. “Your core has to stabilise and keep you from falling off the bench and then, you’re working your deltoids to get the lockout on the weights,” he says. Try it using dumbbells to start, then graduate up to a weighted barbell. Always wanted to flip a truck tyre just like a Strongman, but don't have any monster truck spares handy? Just find a smaller tyre, Strowman advises. 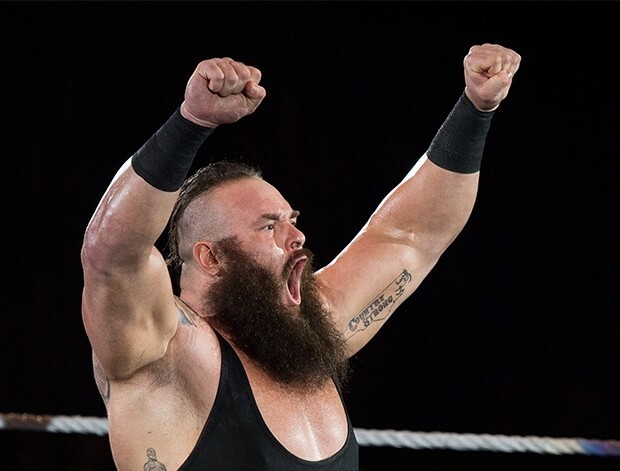 During his Strongman career, Strowman had six different weight tyres from 300 pounds up to 1,700 pounds stored at his local gym. Strowman says your local tyre shop might just give you their massive worn-out tyres if you ask, so that they don’t have to pay to toss them. The average weight of a new passenger car tyre is 25 pounds and 20 pounds for a worn-out tyre. Start out with that and work your way up. If the tyre weight is light for you, Braun says to flip it for “60 seconds at a time and a distance of 100 feet.” If it’s heavy for you, he says to flip it two to three times. The Strongman yoke race challenges competitors to carry an entire squat rack loaded with up to 1,500-plus pounds through a race course as fast as they can. Strowman says there’s no real way to replace the yoke other than doing it, but here's a way to get your body acclimated to supporting your max weight: “Load the bar up where you have to lift it four to five inches out of the rack and then just stand there, holding it 30 seconds or a minute,” he recommends. “It’s crazy how much your muscles are firing just to support weight.” Strowman adds that having a strong core to be able to support all that weight on your back is key. Grip strength is a crucial component for any Strongman competitor. Although some gyms incorporate weighted farmers walk handles, Strowman has a few crafty methods to get your grip strength up to par, so you can walk or even race while carrying heavy weights in your hands like a Strongman champ. Braun suggests loading up two bars on a squat rack with as much weight as you can muster. Stand between them, lift the bars, and hold them for a minute at a time.